Corinthia Palace Hotel in Malta is offering a year-long package to help celebrate Valletta being named European Capital of Culture 2018. Highlights of the Valletta 2018 celebrations include the International Baroque Festival and Opening Week celebrations in January, carnival in February, film festival in June, arts festival in July and closing spectacle in December. The five-star Corinthia Palace Hotel’s Valletta 2018 package can be booked from now for stays between January 1st and December 31, 2018. The price per room per night is Euros 120 (approx. US$140) including a buffet breakfast. Corinthia Palace Hotel will provide guests with a special shuttle service to make it easy to enjoy Valletta 2018 festivities. Other amenities in the Valletta 2018 package include a welcome drink upon arrival, a surprise gift in the room, and use of the hotel’s spa facilities which include a fitness center, indoor pool, outdoor pool, Jacuzzi, sauna and steam garden. 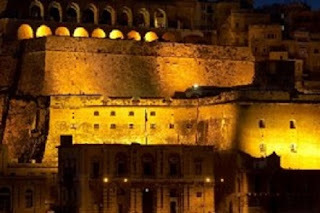 The audio-visual spectacular, The Malta Experience – a 45-minute show which traces the dramatic story of the Maltese islands’ 7,000 history – is also part of the new package from Corinthia Palace Hotel. 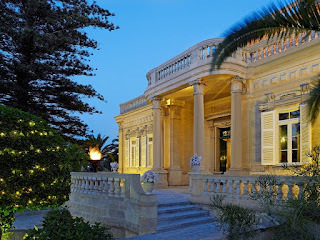 Corinthia Palace Hotel is located in the heart of the island between Valletta, the island’s capital, and the former capital of Mdina, a picturesque fortified Silent City still inhabited to this day. A century-old restored villa is the hotel’s main dining venue plus there is also the Asian-fusion Rickshaw Restaurant, Orange Grove brasserie for afternoon tea and light snacks and the late-night Caprice Lounge Bar which leads out to the Caprice Wine Garden, a tranquil open-air space to imbibe in a garden setting. Jazz Wednesdays and Happy Hour Sundays are not to be missed here.